Monitoring blood sugar is the first step to good diabetes control. 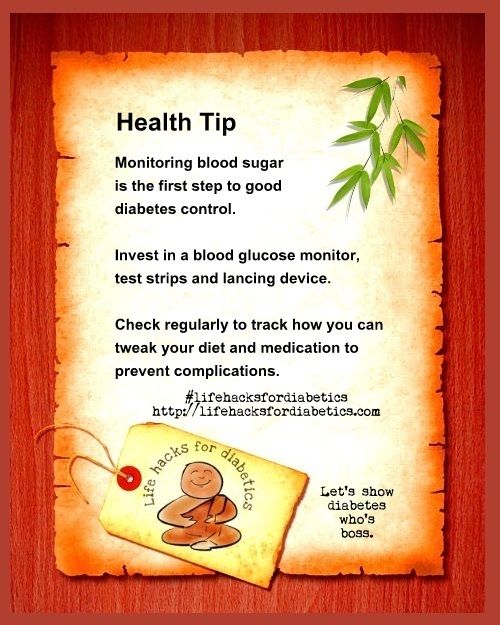 Invest in a blood glucose monitor, test strips and lancing device. Check blood sugar levels regularly to track how you can tweak your diet and medication to prevent complications. Prevention is better than managing a crisis. More about diabetes complications and living with diabetes here.